Fully loaded 2015 VW Tiguan! This beauty even comes equipped with the stylish R-Line Package. Other features include; pano sunroof, leather powered heated seats, upgraded fender stereo system, AWD, voice activated bluetooth, crusie control, sport steering wheel, and much much more! Special LOW finance rates available at Peterborough Volkswagen through our "Certified Pre-owned Program" as well as VW factory extended warranty options. 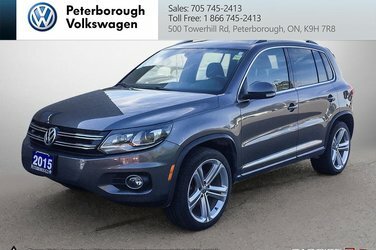 Test drive today at Peterborough Volkswagen before it is too late! 705-745-2413, located at 500 Towerhill Road. 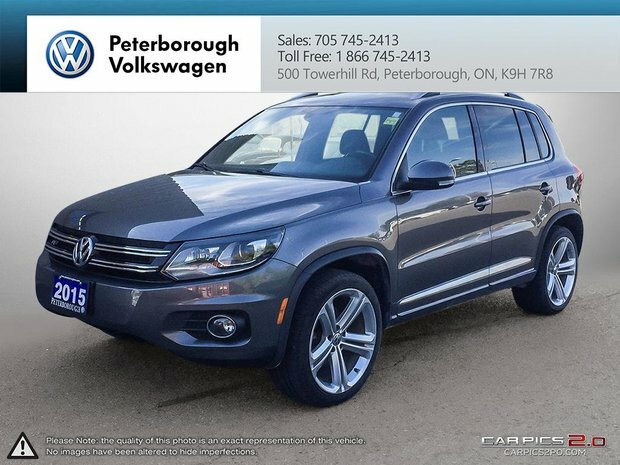 Want to try the 2015 Volkswagen Tiguan Highline 6sp at Tip 4M?